Hi. I was born and still live in Boston, and have been coming to the cape my whole life - finally my family was able to buy our dream property and welcome guests to the place we love. It took me over 2 years of driving every street on Cape Cod to find a perfect place that was near the center of town - but also on the ocean,... that's extremely rare! The Orleans town cove offers that unique combination ! We are not happy unless you are happy. We want you to have fun and come back again. The best of cape Cod is all here! incredible views day and night ! 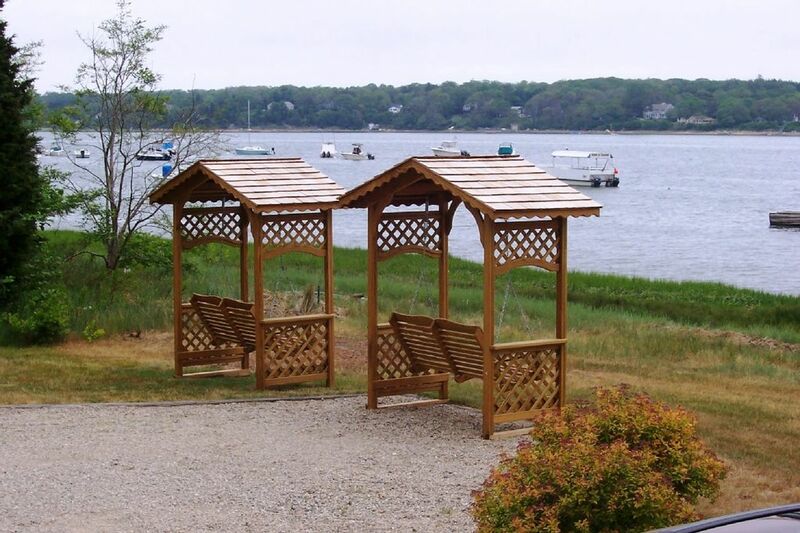 We're right on the banks of the picturesque Orleans Town Cove ! you can walk up the street to the famous cape cod rail trail, where they rent bikes and equipment - it's awesome ! Terri that is so nice! It was a great pleasure hosting your beautiful family. Much appreciated! Enjoy what's left of the summer. Wonderful small cottage on the water. Very clean, adorable furnished in the nautical style. Bed was very comfortable with nice linens. Outside nicely furnished with table, chairs, gas grill and pit. Bathroom quit small, but workable. Walking distance to restaurants and grocery store. Overall a neat old fashioned cottage. We really enjoyed our stay there. Maria and Mac, it was a pleasure to meet you. Thanks for your business and for the review! Even though the Cottages are just off of Route 6A there is very little automobile traffic noise when you are in the house or on the deck. It is easy access by foot or bike to many great locations in Orleans. The walk over to the windmill or to rent a kayak is all of about 2 minutes. The owner was very accessible and quite nice to deal with. I would recommend renting both cottages which are side by side for a small group of family or friends. Finally, the breezes off the water from the Nauset Beach inlet definitely make for a cool place to get away from work worries for a while. Those nice words are much appreciated!! You have a beautiful family btw. Clean private convienient... when you sit on the deck or relax around the firepit you feel a million miles away, yet you are walking distance to just about everything, not to mention a short drive to everything the Cape has to offer. Wow thanks Jay, that was nice! Your business is much appreciated! Cottage is charming and well suited to a family of four. The location is great and the owner was very responsive. Much appreciated! You guys are awesome. Thanks for the great pic too. We loved this cottage! The location was excellent, the place was clean and well cared for and Tony was available for any questions. We will definitely be back! You are too nice! The pleasure was 100% mine!! We are conveniently located less than 1 minute off route 6 (mid cape highway) on the picturesque and dramatic saltwater Orleans town cove, and adjacent to a tranquil oceanfront park (Jonathan Young Windmill park). The property is private and quiet, yet within walking distance to fantastic shops, restaurants, Super Stop&Shop, Windmill Liquors, Nauset fish market, world-famous Birdwatchers General Store, etc. etc. This is really the best location on the Cape. You will love it! Three gorgeous beaches are minutes away, or you can swim in our beautiful cove (although there's almost no sand at the cove - so better off at the beach with little kids). Don't miss Chatham with all the seals and great-white sharks, and renowned Chatham Bars Inn (next town over on route 28),... or must-see Provincetown, so very interesting in many ways,... words can't describe it - just gotta go ! (a 25 mile scenic ride to the tip of the cape thru the National Seashore). Race Point area is some of the best land God ever created ! Also great attractions are Hyannis and Hyannisport, of Kennedy fame. There's too much to list really!